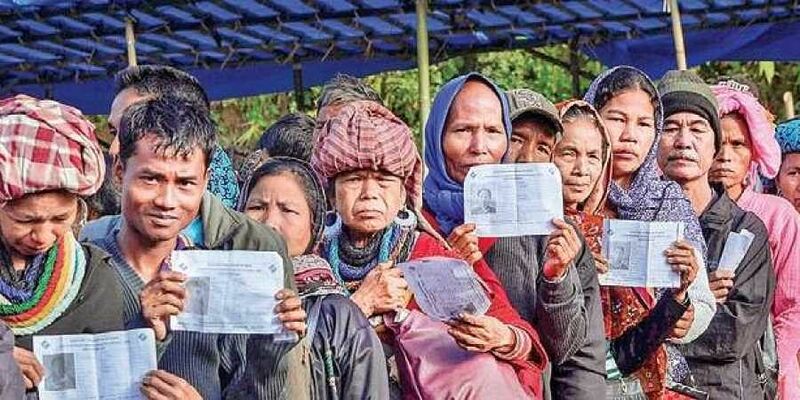 A new hue in Mizoram elections? The state’s politics is typical owing to the role of the Church, civil society, ethnic conflict in the state and the issue of immigration. Mizoram has a history of a ten-year electoral cycle since statehood, barring the first two years. By that logic, the Congress will be dislodged by a new dispensation in the Assembly polls that took place on November 28. However, this election is different although the outcome may not be a surprise for observers. Assembly elections are very interesting to watch in this tiny state at the edge of India. It usually escapes the attention of most of the mainstream media. While analysts, psephologists and opinion poll agencies are busy calculating the number of seats and percentage of votes in the other four states, especially, Rajasthan, Madhya Pradesh and Chhattisgarh; there is hardly any significant discussion on Mizoram. Although the elections were peaceful and largely incident-free, there was an agitation by civil society organisations against Chief Electoral Officer (CEO) SB Shashank over the issue of Bru voting. The Election Commission handled the situation deftly. In a Christian-majority state, the church plays very crucial role, specifically, during elections — although not directly. The model code of conduct announced by the CEO was observed strictly by the Church-backed Mizoram People’s Forum (MPF). The MPF is a unique organisation represented by several church denominations and prominent civil society bodies. It not only enforces the EC’s code, but also adds state-specific ‘Dos and Don’ts’. It is headed by a functionary of the dominant Presbyterian Church. All political parties in the fray have signed a ‘partnership agreement’ with the MPF to abide by its code. This ensures fair elections no doubt, but not a free election. Parties, while selecting candidates, abide by the criteria fixed by the MPF. The candidates also have to be accompanied by MPF members while they are campaigning door-to-door. There are also restrictions on using posters and pamphlets. On my visit to several polling booths, I found MPF desks within the demarcated area facilitating voting in each one and monitoring for malpractice. Like previous polls, national as well as regional parties were participating though the contest is largely confined to the Congress and the Mizo National Front (MNF). However, the Bharatiya Janata Party (BJP)’s entry has raised eyebrows among poll watchers. Apart from fighting in 39 constituencies, the party brought star campaigners like Prime Minister NarendraModi and BJP chief Amit Shah as a show of its seriousness. There is another actor in electoral battle this time — the Zoram People’s Movement (ZPM). It is a combination of two political parties – the ZNP and MPC — and four political groups. This conglomeration’s nominees have contested in 35 constituencies as Independents but with a common election symbol of a hat. The he group may emerge as third largest player. It has one sitting MLA at present. Other smaller parties do not have a big enough vote base. The direct contest is visible between the Congress and the MNF; both are staking claims of outright victory. While the incumbent Congress cites their development agenda and the popularity of the New Land Use Policy (NLUP), rival MNF raises issues of liquor licenses, corruption, poor infrastructure, nepotism and dynastic politics. The Church, which played a major role in enforcing prohibition in the state through legislation in 1995, is upset with the Congress for partially lifting in 2014. Both the MNF and the ZPM have vowed to bring back total prohibition if they come to power where as the BJP favours to issuing licenses only for the production of local liquor. Mizoram has never experienced a hung Assembly since statehood. 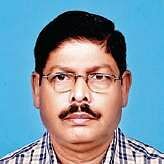 But the serious presence of the ZPM and the BJP may change things.Home Minister R Lalzirliana’s jump to the MNF along with four other MLAs has greatly weakened the Congress, which is also still afflicted with internal infighting. Chief Minister Lal Thanhawla is accused of promoting his brother who is also a minister in his cabinet. Corruption charges have been levelled against many ministers by opponents. The party has given tickets to 11 new faces, that speaks of its diminishing confidence. Similarly, the MNF suffers from leadership issues. Many within the party disapprove of the style of functioning of Zoramthanga. All these squabbles will take formidable shape once any of them lose the battle.